So I’ve been away from reading for a long long time which has been clearly shown by the lack of activity on this blog. I’ve read six books this year – one of these took me five months. About a year ago I wrote about a reading slump caused by Don DeLillo’s Unterworld The Book that Defeated Me) and how I thought I was back to reading regularly again – but I wasn’t. I thought I would always prioritize reading but I haven’t. And when I think about it, it really annoys me because now is the wrong time to not be reading. I have a daughter in the first grade who is learning to read right now and research (Paul Kropp: How to Make Your Child a Reader for Life (review)) shows that one of the things that helps kids learn to read, is to see their parents read and having reading be an important part of the entire family’s life. So I feel like I have been letting her down by choosing other things over reading. Because that’s what I have been doing. I have been caught up in other activities than reading. I have a full-time job, I have two young children, a boyfriend, a dog, four bunnies … I have a lot going on each day that I have to take care of and that means that I have a limited time for other activities. Back in February, I bought a Nintendo 3DS and started playing a game called Fantasy Life and loved it. I played Animal Crossing and loved it. And then I fell back in love with journaling, memory keeping and story telling. I used to be a scrapbooker and last year I started writing daily in a Moleskine and this year in a Hobonichi as well as I fell in love with Midori Traveler’s Notebook. And then recently Project Life. All this is great and I have been enjoying it all. I’m the type of person who goes all in when I get a new interest. I spend all my time doing that thing and I talk about nothing else. For years, my main interest was reading, books, literature and minting this blog about it. For the last year or so I have been drifting through interests and I have enjoyed them all. I still want to play Nintendo games, I want to journal every day and tell mine and my family’s story and keep our memories. I want to get back into crocheting. I want to do all these things – but I also want to read. So what I guess I’m striving for, is balance. I’m trying to find ways to fit in reading into my life and maybe accepting that I don’t need to go all in every time but need to find a way to fit everything into my life. I guess it’s all about prioritizing. I guess you’ll be able to track my progress in my efforts to achieve balance in my life by following this blog. If it fades into nothing, you’ll know I failed. I guess if I start posting every day, I’ve failed too. 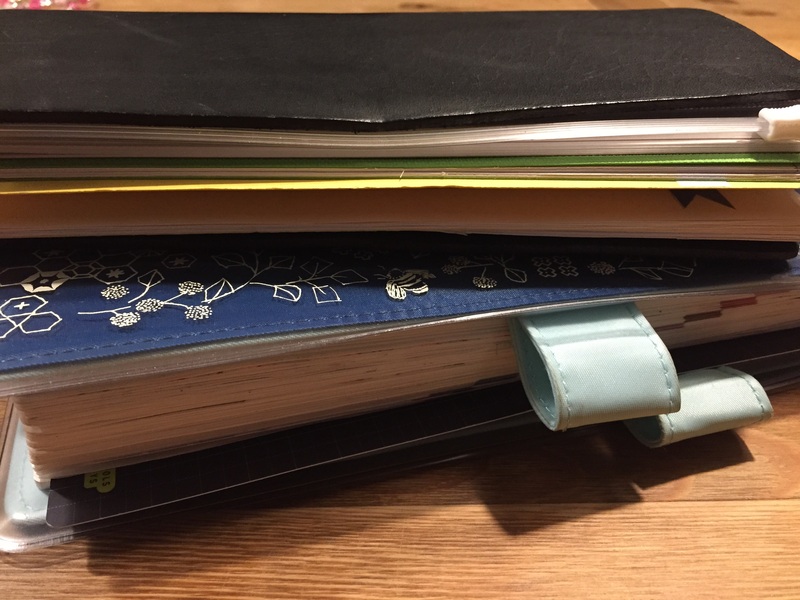 This entry was posted in Books, Thoughts on reading and books and tagged Animal Crossing, books, Fantasy Life, Hobonichi, How to Make Your Child a Reader for Life, Moleskine, Nintendo 3DS, Paul Kropp, reading, reading slump by christinasr. Bookmark the permalink. Great to have you back with us. I can sympathise with you because o find it hard to balance all my interests too. If I blog then I let my family history interest slide and as for all the craft projects, they take a back seat too. Yeah, it is really hard to achieve balance. It sort of goes in circles – but reading is usually the main stable interest I spend time on. And I miss it when it’s gone. Even when I do other things I love … So I’ll try to find time to do a little of the other things and then quite a bit of reading. You are over thinking it! Also, don’t guilt yourself into reading. I read to my kids all the time and they are not readers!! It kills me. So, just read for you. You probably just haven’t found the right book to pull you in again. You don’t even have to set a goal, just go to the library and pull one off the shelf and start. Simple as that. Also, sometimes audio helps if you’re busy scrap booking. I love to listen to audio books when I am doing rather mundane or routine tasks like cleaning the house or writing out Xmas cards. I am super busy and practically pass out at the end of the day but I would go mad if I didn’t read each and every day. That’s me, though. Doesn’t have to be you. Just enjoy it. I have a master in philosophy – of course I’m over thinking it!!! 🙂 And I’m not guilting myself into it – I really want to read. I’m just also aware of the good things that can happen if I show the kids a good example. Wow, welcome back! That balance thing is tricky to pull off. I’ve got a job and kids and homeschooling and the house and I love to sew/embroider…but I can’t not read! It sure is hard to find the time sometimes though, especially since it’s so easy to fall asleep once I sit down. 🙂 Hope to see you around some more! Thanks. Yeah, I hope to be around a lot more. At least I’m reading more at the moment so that’s a plus – now I just need a bit more time to also blog about what I’m reading. I always thought that I would always be reading. I used to read every day. But somehow it stopped. And now I’m trying to get it back. And yeah, I have trouble staying awake too if I sit down to read in a comfy chair.